Presenting for your consideration these beautiful set of 4 storage boxes. 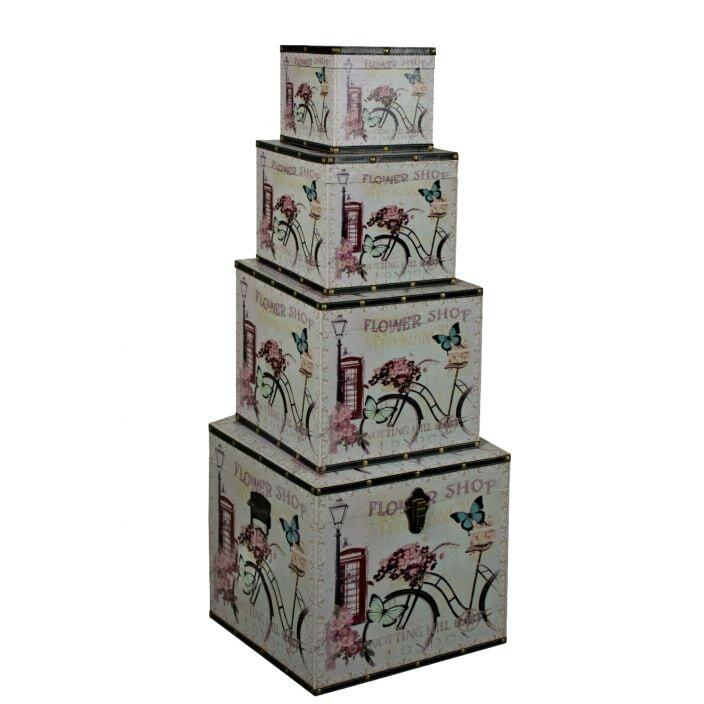 With a delinquent flower shop illustration on each box, this piece is ideal for storage and aesthetics. sure to brighten up your home, these boxes will be welcomed by many.